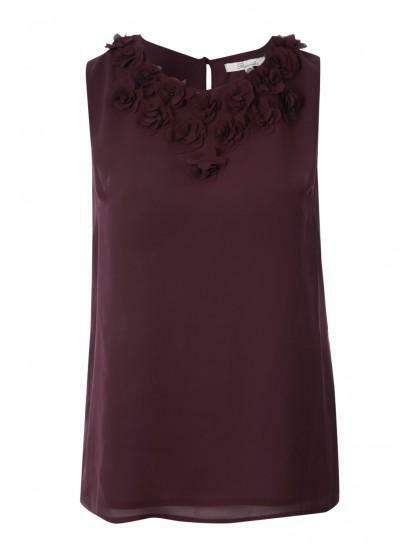 Add texture to your evening wear with this womens flower applique vest. 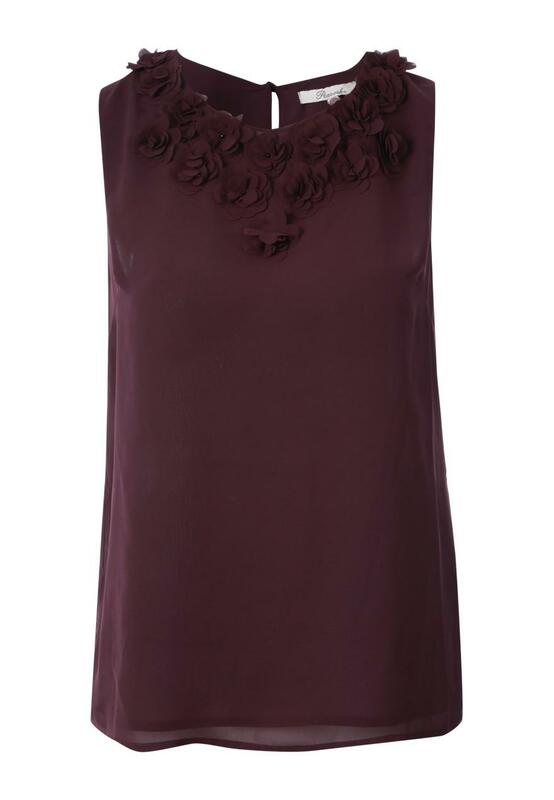 Featuring a beautiful, flower applique neckline, this pretty blouse vest is great to wear for smart occasions. Team with a pair of black slilm fit trousers and court shoes for a sophisticated ensemble.